It is one of the most common errors of WeChat and it is very simple to fix this error on iOS or Android. If you are facing with this error, you will have two steps to resolve this issue and it won’t take your time at all. If you are getting another error on WeChat, you can let us know with commenting this page. 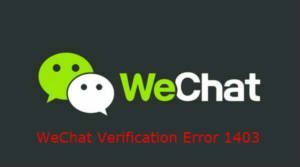 How to Fix Verification Error 1403 on WeChat? Close WeChat application if it is still working on your phone or tablet device. Tap “Settings” of your phone. Tap “Applications” from the menu. Tap “Manage Applications” and find “WeChat” in application list and tap on it. You will see two buttons like “Clear Cache” and “Clear Data”. Restart your device and open the application again. You can also reinstall the application if you have iOS or you can follow similar steps which we have shown below. If you are getting same error again, it’s highly likely that your phone needs a mail activation. If you have already entered your mail information to the application, go to your inbox to complete verification. 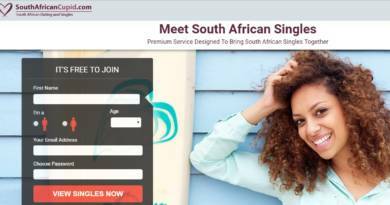 If you have any questions, you can comment this page. WeChat Friend Verify: If you are getting error in security check, it means WeChat is asking for a friend to verify your account. However there are also requirements for this. You can get more information in our tutorial and troubleshooting about this. WeChat Verification Limit Reached: If you have requested verification code several times, you are going to get this error on your device. Please see our troubleshooting page for more information to fix this error. WeChat Verification Code Doesn’t Work: If your verification code doesn’t work despite of you have received it, you will need to take a look at solutions for this.